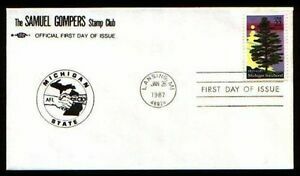 US SC # 2246 Michigan Statehood FDC. Block Of 4, Plate #. Uncacheted. thepostmark has no other items for sale. $0.00 shipping for each additional eligible item you buy from thepostmark.